We know that’s true! But maybe hire a pro or set that self-timer and make your Christmas cards the exception. 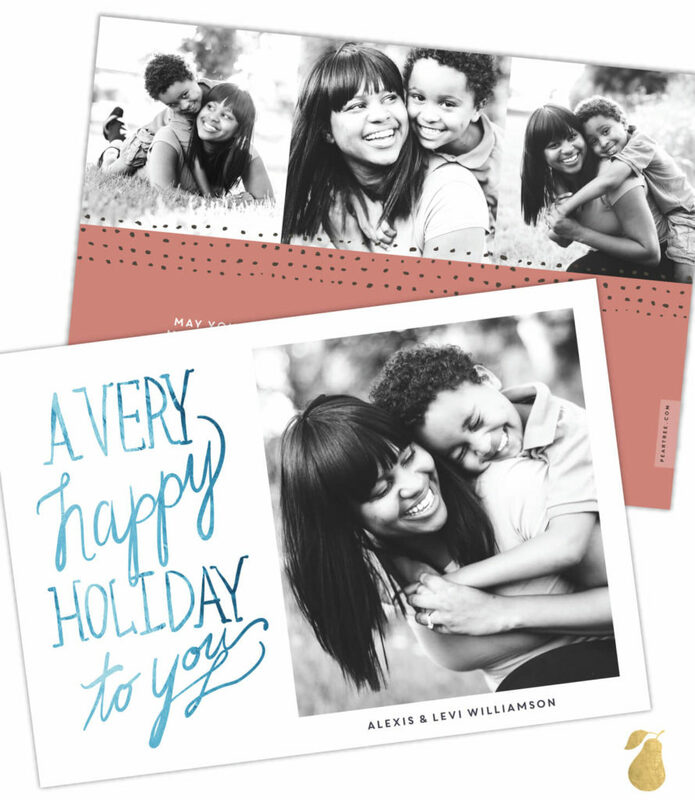 We have some great ideas on capturing photos for your cards that really embrace these realities of single parenthood. Flaunt your super strength with a silly photo series that shows how you literally juggle your active kids (maybe in our Joy Woodgrain design). We already know you can do it all, so don’t be afraid to brag! Does your mom, brother, or other family member step up to help when you have gaps to fill? 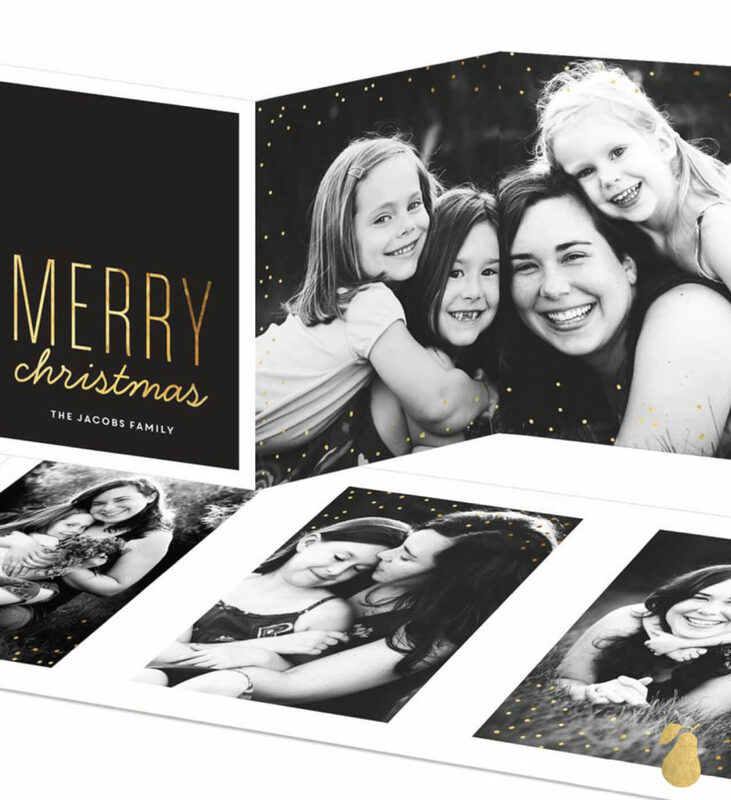 Honor their role in your nuclear family by including them in your Christmas card. The Photo Gallery design has space for four pictures to show off everyone in your village. Delicate baby hands wrapped around the big ones that protect them make beautiful Christmas card images. 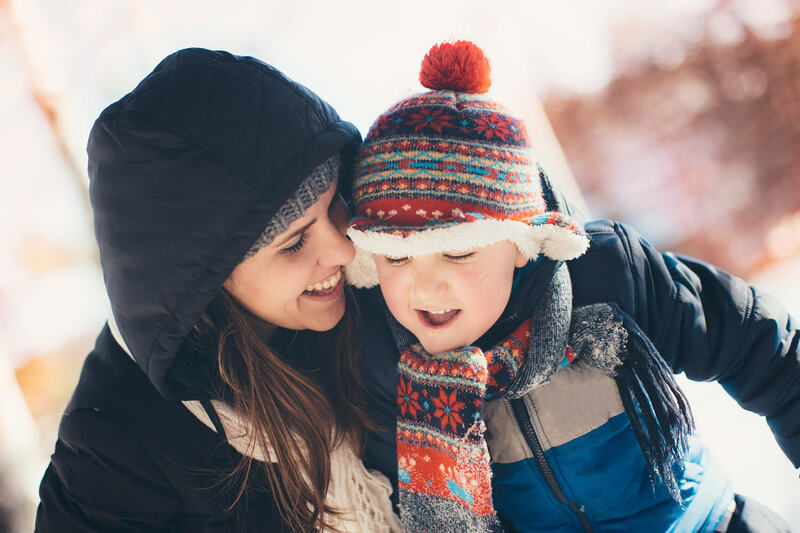 Upload that shot to the back and another photo showing the poignant way you look at each to the front of the Dot Happy template for a sweet, personal card. Focus on photos that show off the beautiful chaos that is your life rather than hiding it. Messy hair and skinned knees are just part of the package. Upload them to our Very Happy card for a fun juxtaposition of the zany with the glamorous — just like you! Don’t be afraid to be bold and try something different! The cards should reflect who you really are. 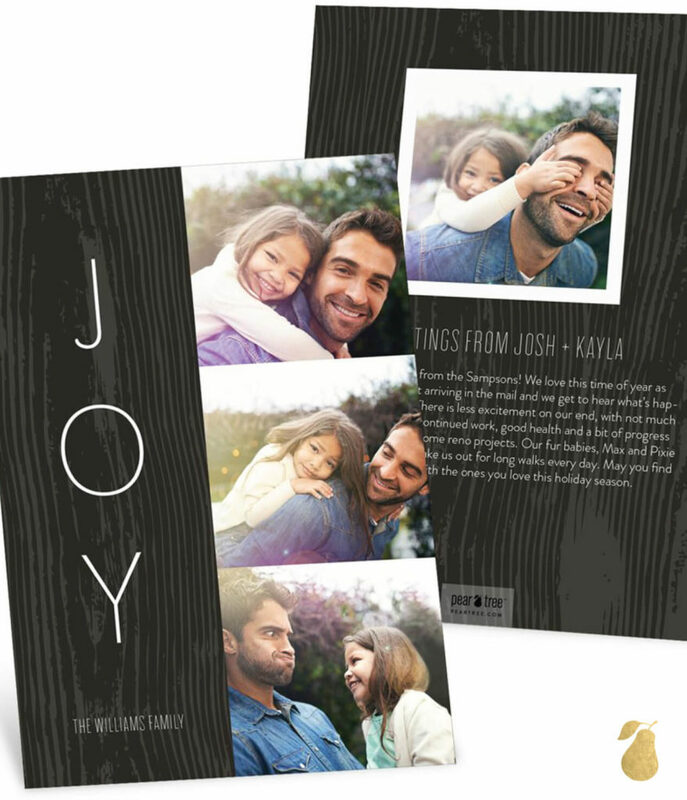 Make sure to check out Pear Tree’s entire collection of photo Christmas cards to select the design that best represents your family! 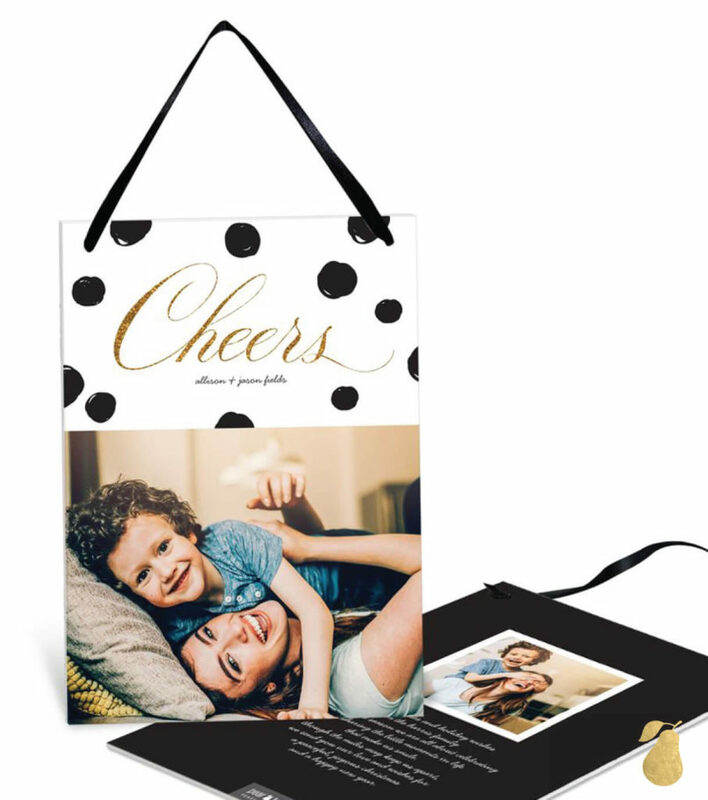 Your personal photos, showing how hard you rock single parenthood, will make each design template totally individual.